Oh I do so long the Song of the Current duology! Whisper of The Tide was a fantastic sequel, althoooough I admit, I thought it was a trilogy??!! So I didn’t go in expecting this to be THE END. I did love how it wrapped up! I just…wait…wait I wasn’t ready to say goodbye. I was not emotionally prepared for this omg. It’s such an imaginative series though, and it totally feels like a movie playing out on the page! Pirates and sea drakons and petulant princes and badass female captains. This is the quality content I live for. You can see my review for the first book, Song Of The Current, here! May be mild spoilers for the first book!? But I will attempt to keep everything as non-spoilery as possible! I love the adventures Caro goes on with her pirate ship, her complicated love of a monarch, and the dangers of being chosen by a sea god. Caro is SUCH a fantastic narrator! I continue to adore her! * I literally couldn’t resist. SHIP PUNS ALL ROUND. I also love how it celebrated women! Yes the world is still sexist, but not suffocatingly so. Caro had to prove herself and she and the other women had to shove back at the patriarchy. BUT Caro actually has a plot! THE WHOLE TIME. I loved this. And she also (a) encourages other women to pursue their dreams, (b) has a close friendship with her female cousin, (c) and at one point she meets a scientist who likes pretty clothes and makeup. Caro pulls herself up when she thinks that’s weird and goes, “Well why can’t she like both? !” AND YES. I LIVE FOR THESE NARRATIONS IN YA. There’s definitely a lot packed into the plot! It starts off pretty slowly, but the ending is like BAM BAM do u still have feels haha not anymore BAM BAM. So that was fantastic. I read the whole thing in one day! Admittedly I did love the first book better and I wish I’d had time to reread it before starting this one! Also Caro and Markus’ storylines diverge in this one…which means, yup. Much less snarky sassy bickering banter. I sorely missed it. This duology is the swashbuckling tale of pirates and seas, treasure and conspiracies, that I’ve definitely always wanted! The writing and characters are superb, the story felt fresh and alive, and I WISH TO GO SAILING NOW, SOMEONE GET ME A TRICORN HAT. THANK YOU BLOOMSBURY FOR THE REVIEW-COPY. Whisper Of the Tide (Song Of The Current #3) by Sarah Tolcser was published July 2018. The second in the immersive series set along the waterways of a fantasy world, perfect for fans of Sabaa Tahir. Caro has settled into a routine: Wake, eat breakfast, try to figure out who is going attempt to assassinate Markos today. The currents aren’t exactly calm. Markos is in constant danger, and his claim to the Akhaian throne is largely unsupported. Without military strength he doesn’t have a chance. Relief appears on the horizon when a powerful Archon wants to side with Markos in his fight for the throne. But in exchange for an army, Markos must marry the Archon’s daughter. They must decide which is more important: their love for each other or the fate of Akhaia. And Caro will have to decide if her destiny is to sail with the tide, or chart her own course. With shipwrecks, lost treasure, old and new enemies, dark magic, and devastating romance, Sarah Tolcser weaves another epic story about chasing fate. is there an epic fantasy you love that celebrates women and actively dismantles the patriarchy?! and do you like PIRATES! tell me if you’ve started this duology and what you though!! DID YOU JUST SAY PIRATES??? These book reviews of yours make my TBR overflow. This duology sounds so good! I just scanned your review because I don’t want any spoilers. WE ALL DESERVE MORE PIRATES. THEY GET TO WEAR THOSE AMAZING TRICORN HATS. 10/10 WANT TO BE A PIRATE FOR THE HAT. DID I HEAR PIRATES. Admittedly, I haven’t read any pirate books since elementary school, when I read this… god-knows-how-many-ology of 500+ pages books with pastries/foods that are pirates. Come to think of it, once I describe those books like that, they are begging a reread from the older version of me. But yeah, this book sounds fun!!! *tbr screams in agony and curses me forever as i add to it* there! Already better. You hooked me at “pirates”. I have to read it now. -The Lunar Chronicles, because it has female characters freaking taking over the moon yet they aren’t all warrior Wonder Woman types. AHHH I FREAKING LOVE THAT LINE IN SIX OF CROWS!! I feel like a lot of fantasies *do* feature epic and complex women, which is great, but often times the story just accepts sexism (or just does an eye-roll and moves on), so I like it when they bother to properly fight against it! We deserve and need stories like that! I just always assume things are trilogies! ?😂I guess I should be more aware we get more duologies from now on haha. Which is good though! Skips second-book blues, buuuut, I did so want more from this one! Same lolol. XD I do love duologies but there’s something so satisfied about a trilogy?? Idk I guess the “beginning, middle, end” is just more clear. It does skip second-book blues but there’s always the danger of the sequel not living up to the first which is #stressful. I need these! 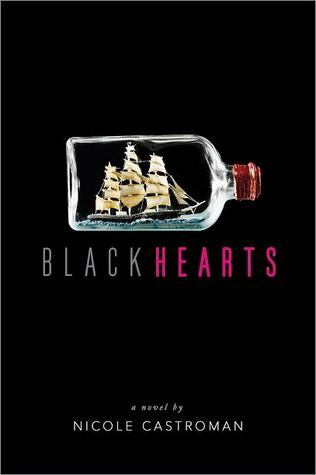 Sounds like a fantastic series, and I love anything with pirates. SAME.😍 Bring me all the pirates and I’ll be so so happy. Ooooo!! Pirates!! I love a good story about some epic pirates and assassins and adventures. Also, great review and I love the photos! Aww thank you! !💛💛I definitely had fun photographing this super gorgeous cover ahhh!! Off the top of my head, I can’t think of an epic fantasy that celebrates women and actively dismantles the patriarchy. If you get a list going, I’d love to see a post on that!! EXCELLENT LIFE DECISION!! And honestly I feel like fantasies are super rare where it fully and openly fights back against the patriarchy!? I should see if I have read enough to make a decent rec list! And here I was, thinking it was a trilogy, oopsie 😂 I honestly can’t remember if I knew that it was a duology? Though I like duologies, so yay! Anywayyy. I liked this one a lot- I think more than the first book actually! I do feel you with the whole less banter situation, but I think I just liked the plot of this one better so, I guess it made up for it for me? Either way, a very solid series! Glad you enjoyed it too! I am absolutely shocked that there’s not more.😂😂I have been betrayed ahhh. I guess I just naturally always assume things are trilogies without even bothering to check?? I LOVE pirates stories!! They are so fascinating! My first adventure read was Daniel Defoe’s novel (yeah, I know, Robinson is old classic, but I couldn’t skip it). But as the time was wiping off my horizons of a silly girl with a totally dreamy head, I noticed that the modern novels and stories are far more deeper that just a romantic adventure that happens to the main heroine/hero. I hope you enjoy this one if you get a chance to pick it up then! I couldn’t get through Robinson Crusoe. 😂😂 I’m awful at classics. eeep thank you for reading my reviews! Super glad they’re convincing! Omg I agree! They needed WAY more hype. 😭 And I’m so freaking sick of seeing SJM books everywhere lmao. But it’s either her or Harry Potter with Bloomsbury?! But stiiiill. I’m glad they exist! BUT WHAT ARE YOU KIDDING ME?!? WE ARE GETTING CUT OFF FROM A BOOK WE DESERVED??????? I’m so sad! !